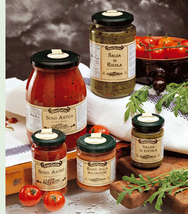 Gran Cucina Italian Gourmet 100% natural sauces are made with the best fresh vegetables of the Italian land. These fresh vegetables are grown naturally by Italian farmers, picked up and selected carefully for its taste and beauty. 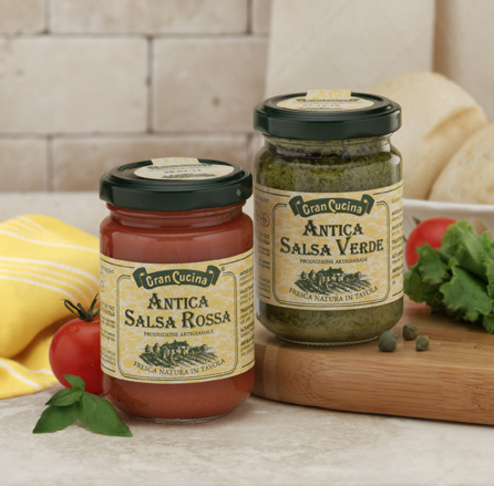 Gran Cucina takes pride to honor the land with 100% natural ingredients and enjoys making and creating all the best Italian gourmet sauces, Italian pestos and lots of 100% Italian new vegetable gourmet sauces every year. It is a real delight to be in the Gran Cucina kitchen in Italy and to contemplate how the Gran Cucina chefs constantly create new gourmet products by mixing the different 100 % natural ingredients.